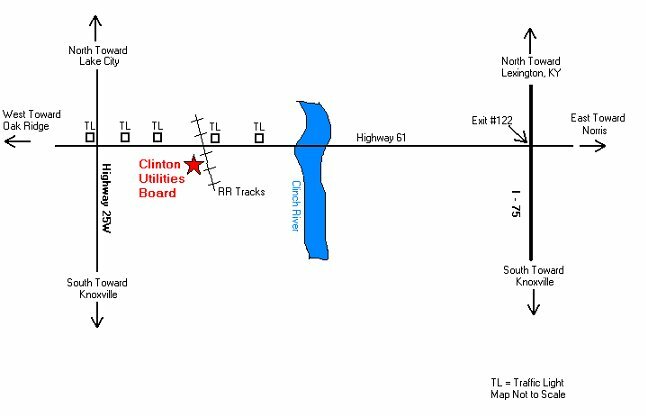 From Interstate 75, take the Clinton/Norris exit (# 122). Travel west on Highway 61 approximately 4.5 miles, crossing the Clinch River, then passing through two traffic lights. After crossing the railroad tracks, we are immediately on the left. From the intersection of Highway 25W and Highway 61(Charles G. Seivers Blvd. ), travel east on Highway 61 approximately 1.6 miles. We are located on the right.